Oceans have never been a quiet place. The rumble of the water, the movement of fish and cetaceans, the calls, clicks and moans they use to communicate with each other - these are all a part of the natural soundscape. What is unnatural is the noise caused by human activities. 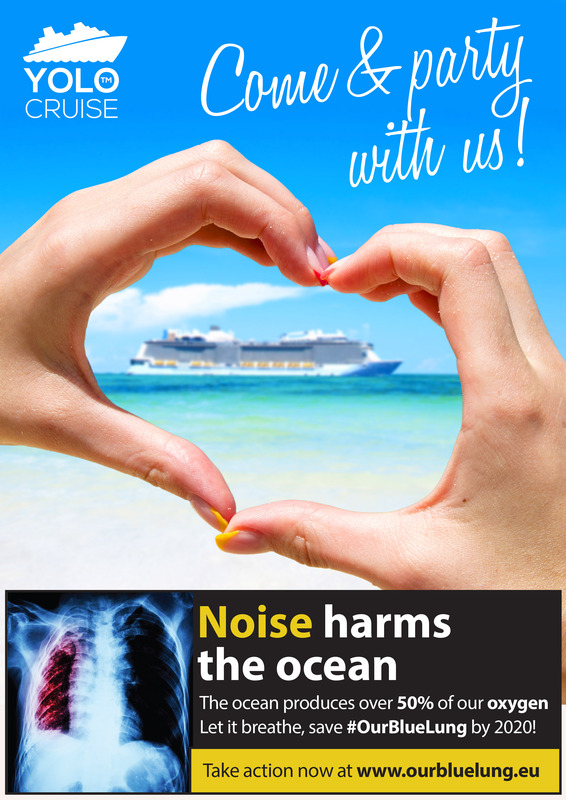 Whales, dolphins, porpoises and other marine mammals are deeply affected by underwater noise pollution. The consequences of man-made noise can be severe, sometimes resulting in bleeding in their ears, brain, and vital organs. As they rely on their hearing to move, interact, mate and hunt, this external noise presents a constant challenge to these animals. Most of the times you won’t see the direct damage, as animals fleeing or directly killed won’t appear on the surface. But there is evidence that the beaked whales stranded on the British coast last summer had suffered from the noise caused by military sonars. And it doesn’t stop with cetaceans - research has found that fish and other species are also upset. On dry land - particularly in cities - regulations are in place to protect us from the racket of cars, planes, sirens and industrial activities. But the noise is worse underwater, and it travels faster and further away: the nuisance can spread over thousands of kilometers. Every ship that crosses the sea, whether on a vacation cruise or transporting the goods we buy, emits a deafening roar. Seismic surveys for oil and gas exploration cause blasts every 10 seconds for weeks or months to detect fossil fuels under the sea bed. Military sonars used to detect enemy submarines cause ear-splitting screeches. We can all make a change by rethinking our habits, but the big change will come from our governments.